Earlier this week I described my strategy on who to become a creator full time. That strategy is that I will be creating one large project per quarter. This project I have subtly been thinking about for the past few months and I am excited to finally announce it and share it with this world. My goal with this post is to share with you my project for Quarter 2 and also inspire you to start working on your own creation. 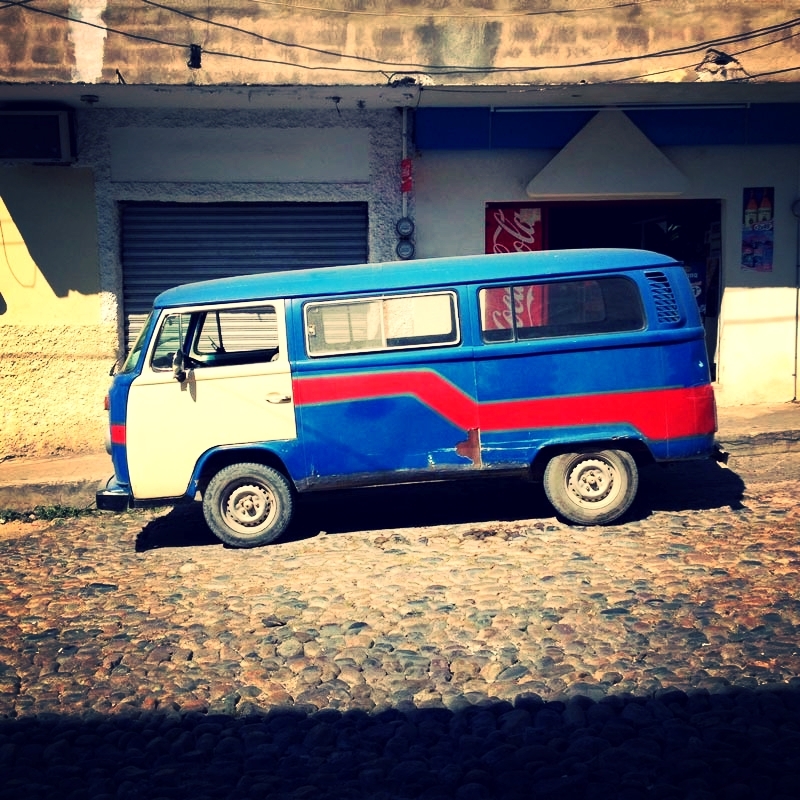 The VW Project (temporary name) is an online property that shares artistic and interesting pictures of VW Van’s and Buses. These pictures are shared through a website, as well as multiple social channels. All of the traffic from these channels pushes the viewer toward a store where they can purchase photography books, calendars and prints. For the past four months I have been living in Puerto Vallarta, Mexico. While living there I noticed something very interesting about the culture. 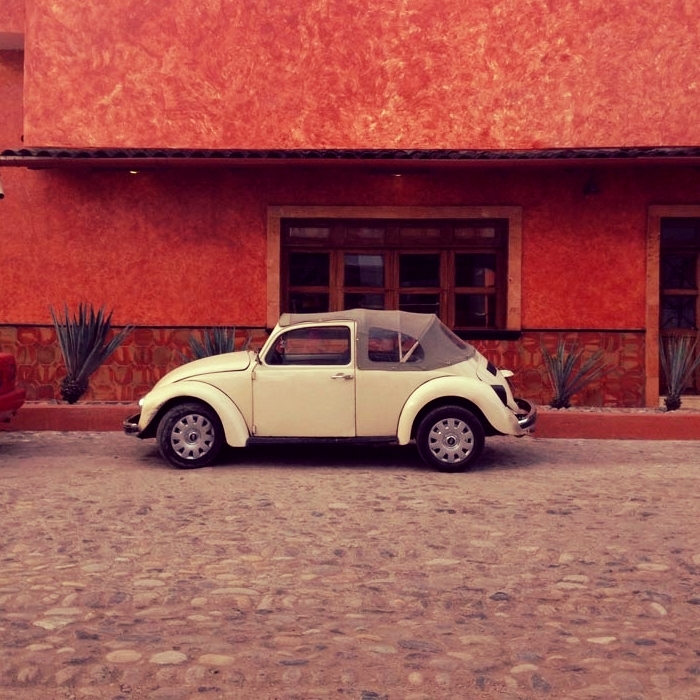 Mexico has an enormous influx of VW vehicles in their culture. It is more than just the vehicles in their culture. It is how they personalize the vehicles in their culture. Everywhere you go, you see VW vans and buses and everyone is unique in it’s own way. It is almost as if every car has a soul of its own. As I went on walks every afternoon, I could help but notice the massive amount of them, so I started doing what any creative would do. I began photographing every VW I passed. Over the course of four months, I ended up with over 300 photographs of VW’s. If I post one VW per weekday, that will last for over a full year. I have been collecting these photos for months, and now it is time to share it with the world. On the website will be a store where users can purchase prints, photography books, calendars and more. These prints will be set up as sales through a third party company that will print the products on demand. This keeps the overhead and up front investment of this project to a minimum. I will be setting up the website on the Tumblr platform. I am doing this for two reasons. First, Tumblr already has an audience built in that can be drawn in to the site through hash tags and community engagement. Second, Tumblr has great themes and is perfect for this form of visual media sharing. The website will act as the home base for all of the content and the stores. Outside of Tumblr I will be using a variety of marketing tactics to draw additional traffic toward the Tumblr account. With this project, I run a risk of trademark infringement. I can’t afford a legal attorney to know for sure, but I do know that this project sits somewhere in that grey area. I won’t be calling this the VW project, and instead will be searching for a different name, and I will be refraining from using the VW logo as often as possible. My hopes are that VW does not shut the project down, although time will be the test of that. The profits from the sales will go toward first paying back any hard costs I have with this project, which is very minimal (Tumblr theme, Domain name, Press release, etc.). After paying back the hard costs, the proceeds of this project will be donated to a non-profit that supports the arts in Mexico. While I have not located a non-profit yet, I do recognize that this is a major problem as currently there is little to no formal arts training in Mexico’s schooling system. I experienced this first hand as I met an aspiring young artist while I was in Mexico. Her name was Liliana and she would come draw and color with me on a weekly basis as I worked on my creative projects. My hopes are this project and these donations will help Liliana with her journey. My quantifiable target: By the end of this quarter, my goal is to launch the project and generate $1000 of revenue from product sales by July 1st. This is a big undertaking, but by working a small bit on the project everyday, I know that I can make it a reality. What are you going to create this quarter? As described in my book The Focused Creator, I am a strong believer of setting quarterly goals. 3 months is enough time to build something amazing, but too short of time to procrastinate it so that it doesn’t get done. Set a goal three months from now and dive in to get started. What are you going to build this quarter?